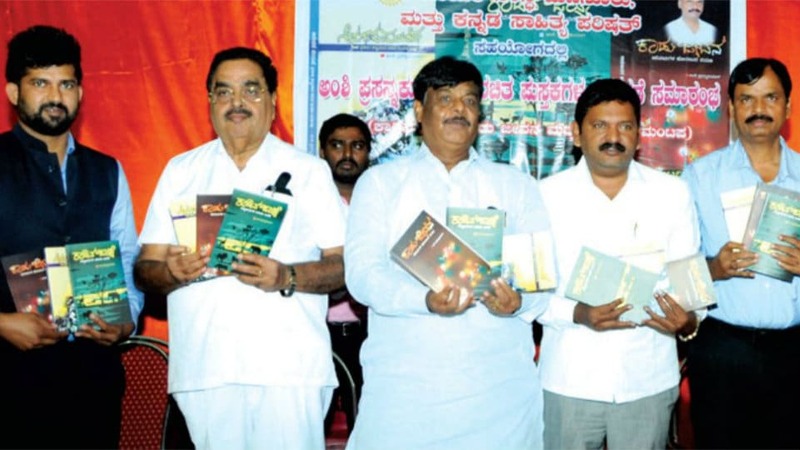 The books were released by District Minister Dr. H.C. Mahadevappa, Forest Minister B. Ramanath Rai and MP Pratap Simha, who commended that the books have exposed the problems of forest tribes, human-animal conflicts, protection of wildlife and on Forest Rights Act. Inaugurating the programme, MLA H.P. Manjunath said that enough work had been done to bring the forest tribes to the main stream of the society and opined that the books of Prasanna Kumar would help to solve the problems. Music University Registrar Dr. Niranjan Vanalli, Wildlife Photographer Krupakar, DEED Chief Dr.S. Srikanth, Rotary Club President Shivakumar V. Rao, District Chairman Narayan, Publisher D.N. Lokappa and others were present. Masthamma, a herbs specialist was felicitated on the occasion.